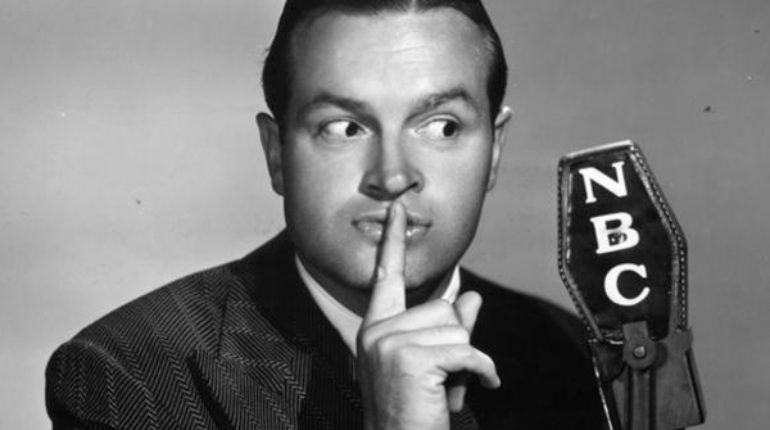 Bob Hope: The Master of Comedy changed the Comedy world and took it to a new level! Bob Hope lived to be 100 years old! Talk about humor and longevity! For a man who started out in comedy getting fired by numerous studies and having to play in third-rate vaudeville halls alongside trained seals and Siamese twins who got top billing, Bob Hope endured to become a legend in comedy. He is most famous for his series of “Road” movies made with Bing Crosby and Dorothy Lamour. He also hosted the Academy Awards fourteen times. Hope appeared in over 70 films and shorts, including a series of “Road” movies co-starring Bing Crosby and Dorothy Lamour. In addition to hosting the Academy Awards fourteen times, participated often in the world of sports and was a minor owner in the Cleveland Indians. He loved golf and was a frequent fixture on some of California’s finest desert golf courses. 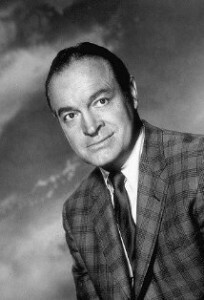 Aside from his prolific films, TV, radio and stage shows, shorts, Bob Hope was known for his long career in public service with United Service Organizations (USO), touring combat zones. Beginning with World War II, he made 57 tours for the USO between 1942 and 1988. IN fact, in 1996 the U.S. Congress declared him the “first and only honorary veteran of the U.S. armed forces. Throughout his long career, he was honored for his humanitarian work. Rumor has it that Bob Hope had a massage every day. When asked what he attributed to his youthful vibrancy, the late great comedian Bob Hope said, “Among other factors……I have a daily massage!” We don’t think this is a laughing matter. If you take daily doses of great humor coupled with massage, a long, healthy life is inevitable. Bob Hope said, “I have seen what a laugh can do. It can transform almost unbearable tears into something bearable, even hopeful.” That’s the power of comedy and something to think about when you create your next marketing campaign to reach your clients and customers. Think about creating a message that resonates emotionally with your customers. Help us to celebrate comedy. Stay tuned! Later this week, we will be releasing our third video made with Comedian Wali Collins. –Kalin J.